For decades, Stephen Hawking has been one of the world’s most famous scientists. But despite that, I wasn’t expecting him to make an appearance in a game about capturing devils. 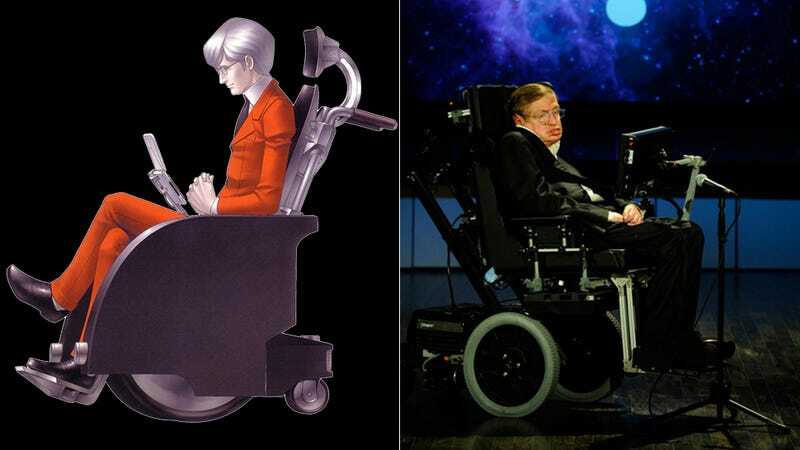 While not actually named “Stephen Hawking,” Shin Megami Tensei IV’s STEVEN is about as close to being the man as you can be without inviting a lawsuit. He’s the smartest person in the world, he is wheelchair bound, and it’s his job to explain the extremely complicated to you in simplified ways so you can understand. Shin Megami Tensei IV is far from STEVEN’s first appearance in the series. He first appeared in the original Shin Megami Tensei on the SNES back in 1992 and has appeared or been mentioned in many of the games in the series since. Of course, STEVEN has done quite a few things that Stephen Hawking hasn’t. He invented the technology to communicate with and capture devils and teleportation technology as well. And given the game series’ timeline, he is also likely immortal. But given that Stephen Hawking was expected to die due to his condition at age 23 (he is now 71), I’m not entirely convinced that the characteristic of immortality doesn’t actually apply to both of them.